Kate plays saxophone in the Earley Music Centre Big Band. She’s been sitting on the front row with the altos in front of us tenor players for years, although she’s just moved to baritone – so we’re also going to review of her Selmer Pennsylvania Special here. Ours is a rehearsal band which plays occasional concerts to friends and family, having an annual outing to the Victoria Embankment Gardens in Westminster, London. We play a good variety of big band music from swing to blues to pop and jazz. We’re lucky to have Tom Benellick as our conductor. Kate bought this instrument in 1998 in Liverpool. Founded in 1880 by Pigis and Lefevre and based in Mantes near Paris (like Selmer and Buffet). 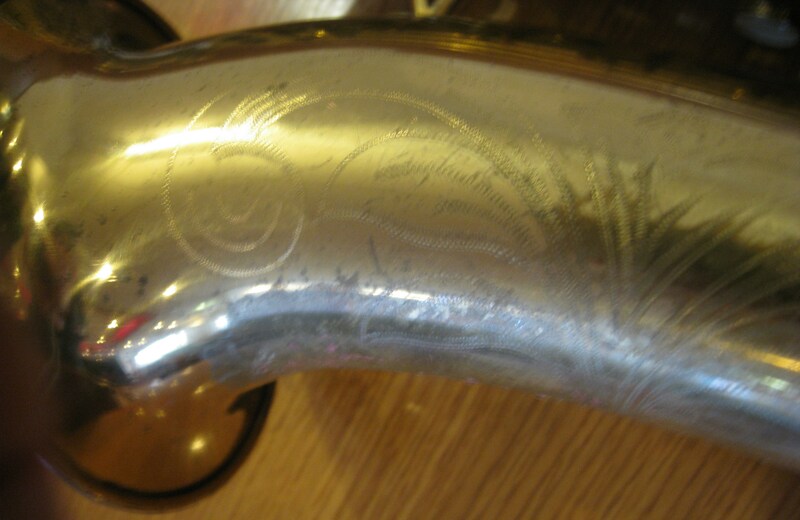 The ‘C’ at the end of the serial number on this horn marks it out as a Belair. Dolnet was a specialist manufacturer and is said to have made only about 500 horns a year, according to saxpics. There is no official serial number list, so I’ve guessed Kate’s instrument was made around 1947.This instrument is finished in gold lacquer and has hexagonal ‘Art Deco’ touches to the side keys, the crook ferrule and the bottom C/Eb cluster. It also has a diamond shaped spacer between the bell and body. Dolnets are very rare, but very playable. This alto has a good rich tone with easy, well-balanced action. 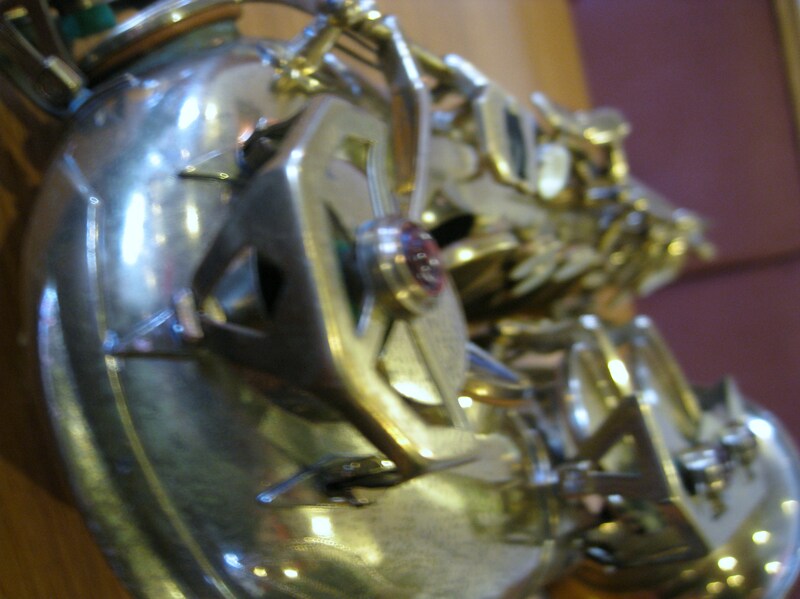 More about Dolnet saxophones can be found currently on the Web from saxpics. 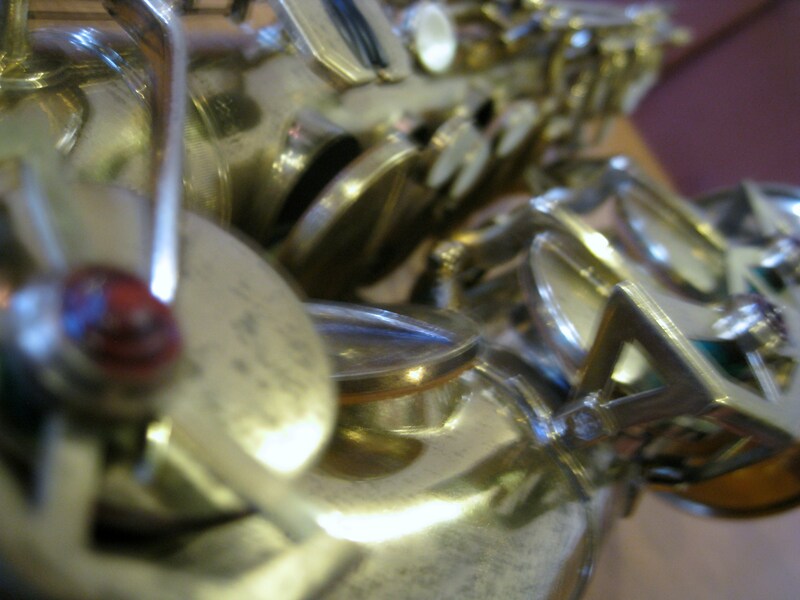 Do you own a rare saxophone? How do you rate it? As always please let me know by commenting on this post. 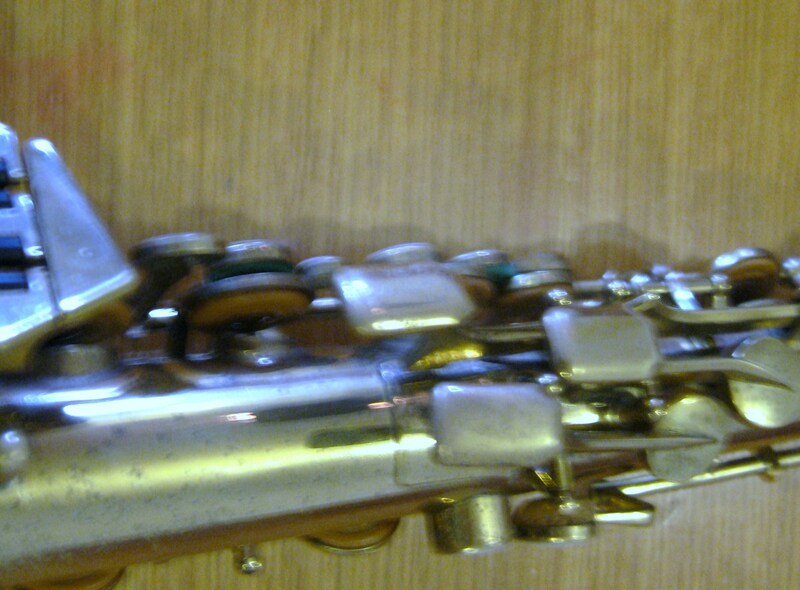 Hi guys, I have an old dolnet sax, I think it is an alto, it has a serial number 10560, can anyone tell me how old it is? 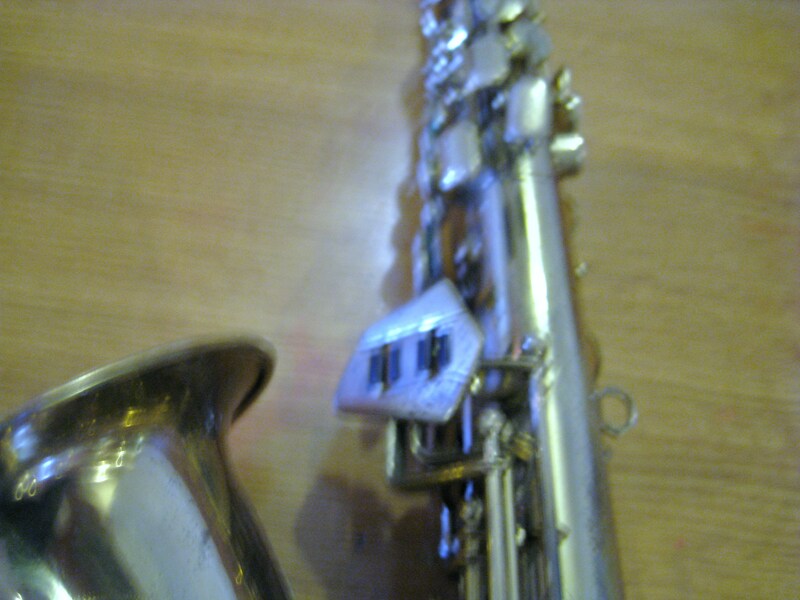 Just wondering if anyone can help me learn something about my Bel Air alto sax. According to that chart from sax pics, the Bel Air series starts with serial numbers around 34000, in 1950. 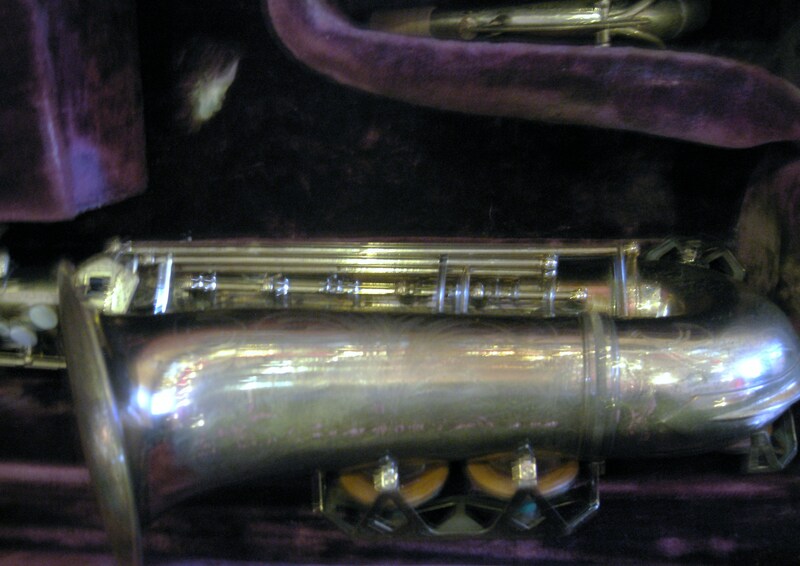 The serial number on my instrument, found below the right thumb rest, is E5249, and on the back of the left pinky key cluster, is 5249 (without the E). I haven’t read anyone mentioning serial numbers with the letter first, or a Bel Air instrument with a serial number less than 5 numbers long. Any help would be appreciated. I’d like to sell it, but I don’t feel I know enough about it to know what would be a reasonable price. 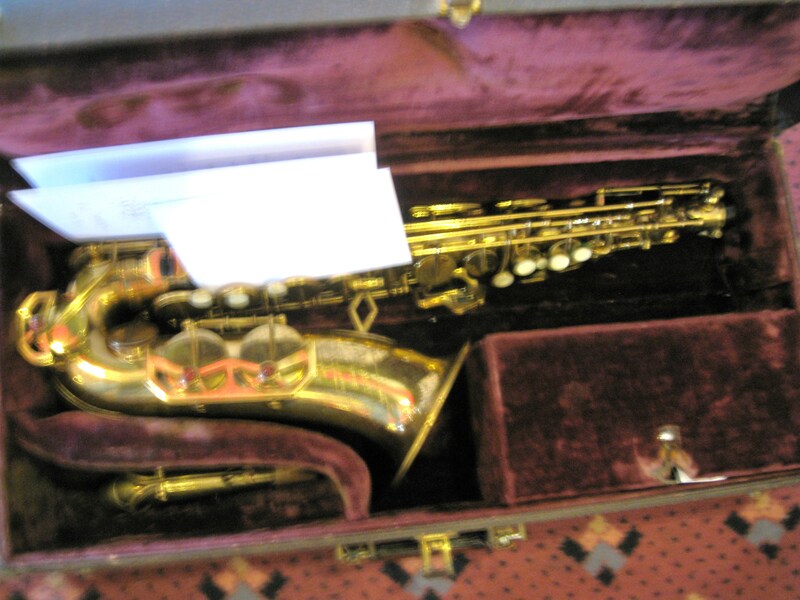 Hello I’m Jack Desideri from Italy, I have uploaded, on imgur, photos of a very vintage alto sax, found in the cellar of my brother’s girlfriend, in Madrid. Unfortunately it was in poor condition, so I was not able even to try it (went buffers, springs didn’t working, not close anywhere). Is there anyone who can give me useful info on sax in question? The idea would be to restart it, and buy it if it was worth it. 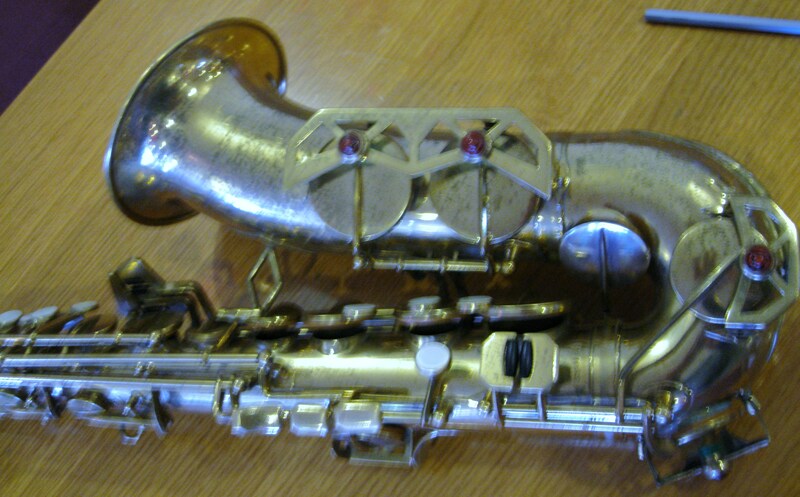 Others users tell me that the sax could be a Dolnet Stencil of the ’50s. Infact is very similar in the keys to this Dolnet Belair. How much could cost it? I have a Dolnet serial number 52499C – What is the year of manufacture? Any idea till when the Bel Airs were manufactured?